After the journey from HELL 11 hours later we arrived in Bangkok! Note to future self: Do NOT cross land borders into Thailand. You’ll be stuck in the immigration queue for 3 hours, standing, with no air conditioning, food, water or toilets. Never again! A spectacular place to see but it comes at a price. It’s 500thb each which was a little on the steep end for us. 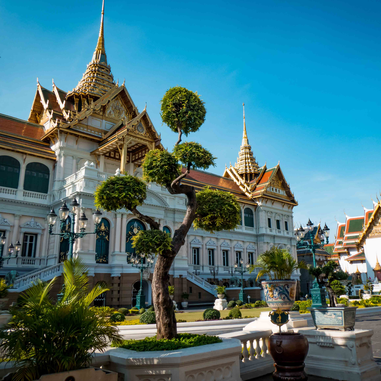 To make the most of the money we’d recommend getting the free guided tours at different times of the day and also take the free shuttle bus over to the theatre to see the short show called The Masked Dance which is a lovely traditional Thai experience. 50thb each to enter but a stunning tall white temple! Climb up and have a wonder round. Catch the oranges boats as mentioned below. It only costs 4thb to cross the river over to Wat Pho. 100thb each to enter but one of our favourites. 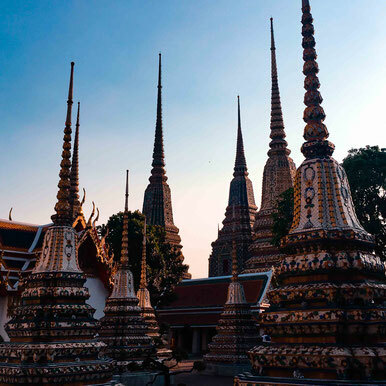 A complex full of beautiful colourful temples and the famous Temple of The Reclining Buddha. Save an hour or two to wonder town the streets of Chinatown in all its hustle and bustle glory. Look out for The Old Market which runs for streets and streets down little alleyways. 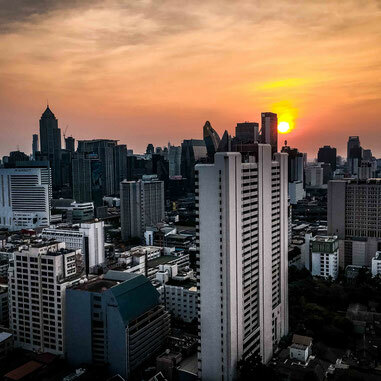 We wanted to visit a rooftop bar to look over Bangkok’s skyline as the sunset and decided to go to The Above Eleven bar. Be aware that the prices on rooftop bars are expensive even for western standards especially the ones with good views. Some are also booking only, or you’ll have to turn up early. We didn’t book but arrived at 6pm when it opened and had to queue for a while to get in. Once up and 1 beer each later it was well worth it for such a spectacular view! The place to go in old town for some fun! 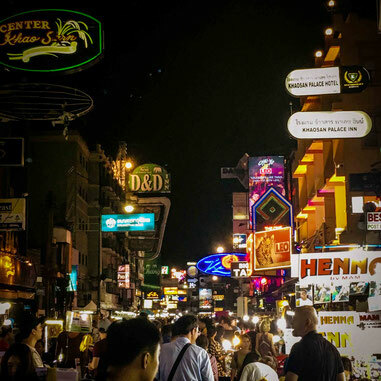 A real backpacker vibe full of bars, market stalls and places to eat. It comes alive at nighttime. 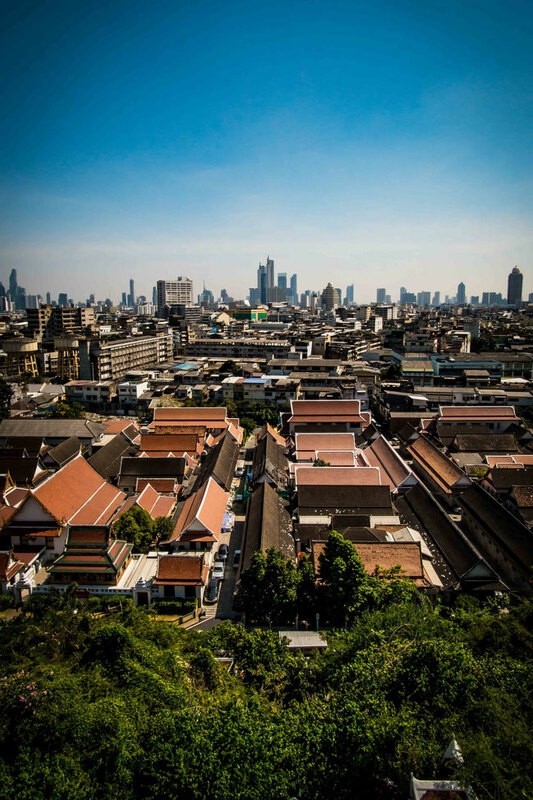 A few km’s north of old town is one of the largest markets in Asia! Covering over 27 acres of land with 15000 stalls there’s plenty to explore here. A must see while in Bangkok. As we are now the market experts, we loved to see how different the offering was here. Although the goods were more unique, such high quality and mostly locally made. 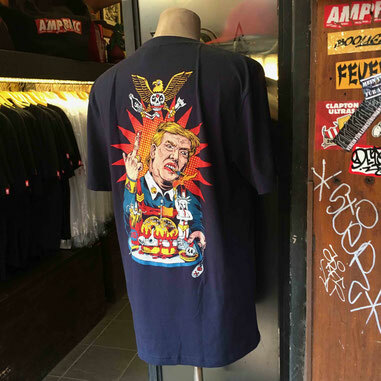 A far cry from Vietnam’s fake brands! 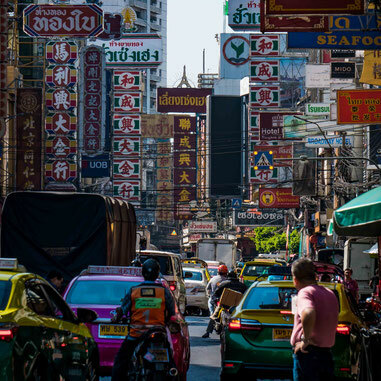 We loved that Bangkok seemed to have a mix of everything to offer. It had the old town part, the high skyline, the ancient temples, the river and green parks all nestled in together. Something to suit everyone. After our evening on the rooftop we wondered down to to the redlight district to take a look. Fun and appealing to a particular crowd, it was a little too strange for us to see the huge numbers of young Thai girls waiting to be partnered up in the bars with westerners twice, three times their age. Each to their own! It can be very tiring to walk everywhere in the heat and the road traffic is bad so definitely make use of the boats to get up and down the city. Ask for the orange boats as they’re the cheapest at around 15thb per journey. ‘The Streets bakery' happy hour! The street to Khao San road (Rambuttre Alley) is full of great places to eat. If you’re around at 7-9pm don’t miss the 50% off happy hours at The Streets bakery every night! 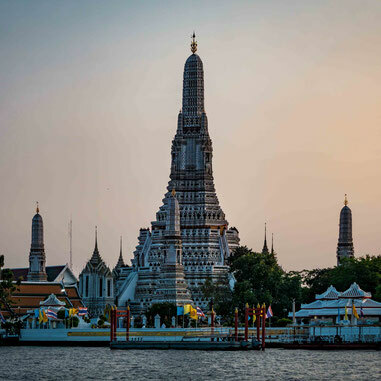 The best bits of Bangkok can easily be seen in a few days so don’t waste your time here for too long, Thailand has so much else to offer too!